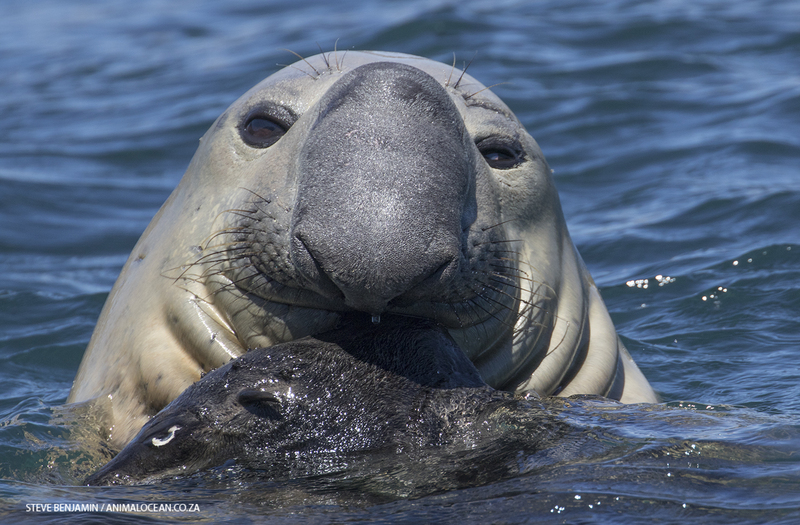 The Southern Elephant seal (Mirounga leonina) at Duiker Island, Hout Bay, is still hanging around and seems well at home now. He arrived this year on the 29 August this year, and its this individuals 3rd time visiting Duiker Island in as many years. 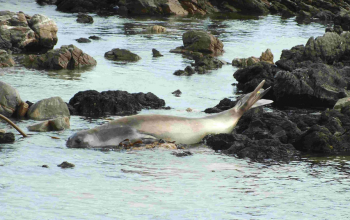 It was extremely difficult to confirm the identity of this seal as his resting place on Duiker Island was inaccessible, even with the longest lens. All I could saw was that there was a tag, not the tag number. Until I decided to try in the water and get close with out him knowing. 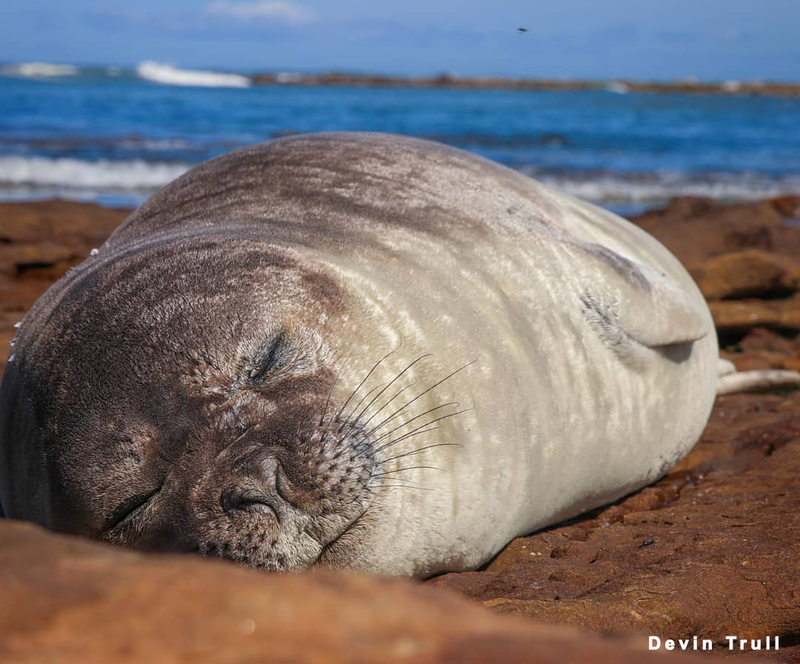 We notice that this seal often rested int the water with his head clear out the water, looking at the world go by. 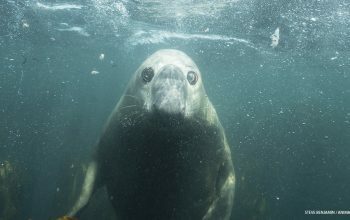 I was able to crawl along the sea bed and get close to his hind flipper, get the tag number and swim away, without him noticing me. After 2 years thinking about this individuals identity, I finally confirmed it with image of his tag number. 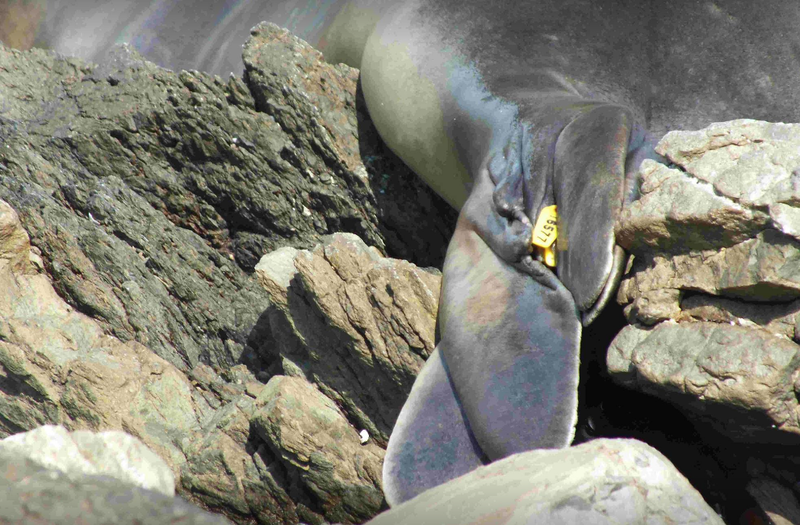 We noticed that this Elephant seal was occasionally killing Cape Fur seals, which we initially though he was eating. 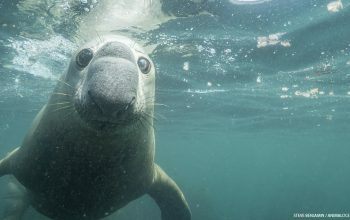 This idea stemmed from another Elephant seal in Plettenberg Bay, South Africa, that has been recorded eating Cape Fur seal pups. 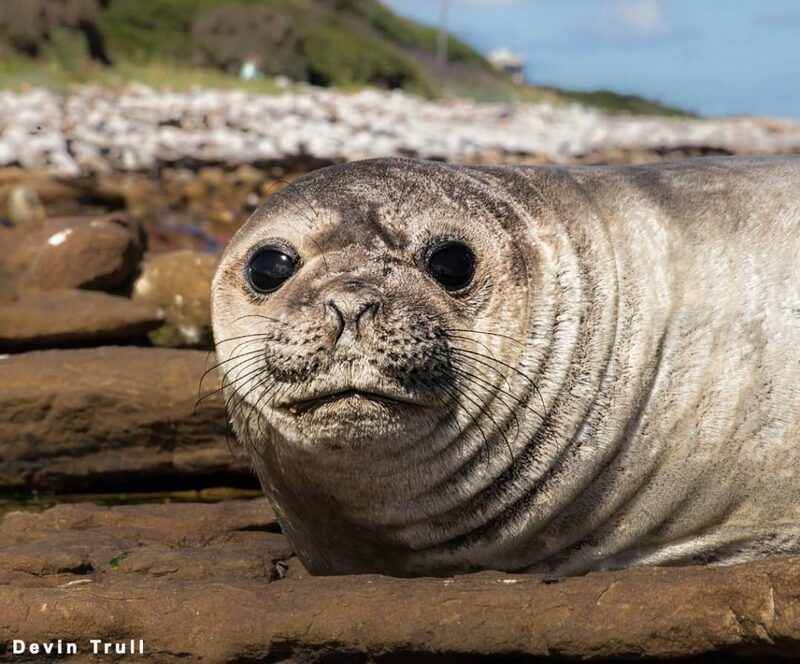 This was well documented in a scientific publication by Dr Gwenith Penry titled – Vagrant elephant seal predation on Cape fur seal pups, Plettenberg Bay, South Africa . Our seal, seemed to be doing something different. He looked like he was just cuddling anything closest to him and playing with them. Unfortunately, due to his size and breath hold, the play mates didn’t survive. With a quick search online about this reviled that this is not new and has been recorded fairly often. 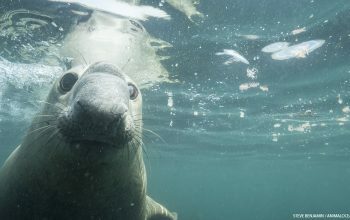 James L Hayward writes… “Among marine mammals, heterospecific sexual encounters have been documented between more distantly related species, such as individuals of different genera within the same family (e.g., Northern elephant seals, Mirounga angustirostris, and harbor seals, Phoca vitulina, Southern sea lions, Otaria flavescens, and Southern fur seals, Arctocephalus australis ) or different families within the same order (e.g., eared seals, Otariidae, and earless seals, Phocidae; harbor seals, Phocidae, and sea otters, Mustelidae ). Even more remarkable are the few accounts of sexual interactions involving individuals from two different vertebrate classes, such as Antarctic fur seals, Arctocephalus gazelle, and king penguins, Aptenodytes patagonicus.” So there is huge driving force to mate among males and occasionally , when lost, anyone will do, even if its not you own species. 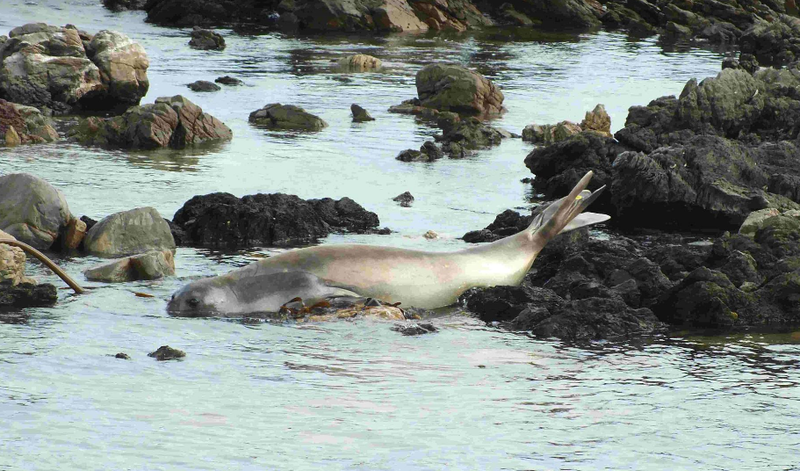 A different and younger Southern Elephant seal came to rest on the rocks in Kommetjie, yesterday. Devin Trull was there to capture the sighting and got some great images. Head over to his Instagram account to see more images. This seal will probably rest for a little and head back offshore to feed and hopefully return to Marion Island, the closet colony for this species. 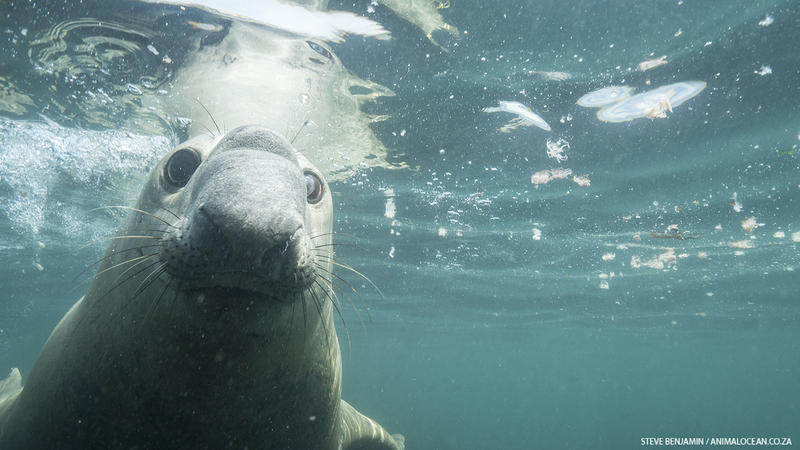 Seal Snorkeling – Is there concern ? Not at all. 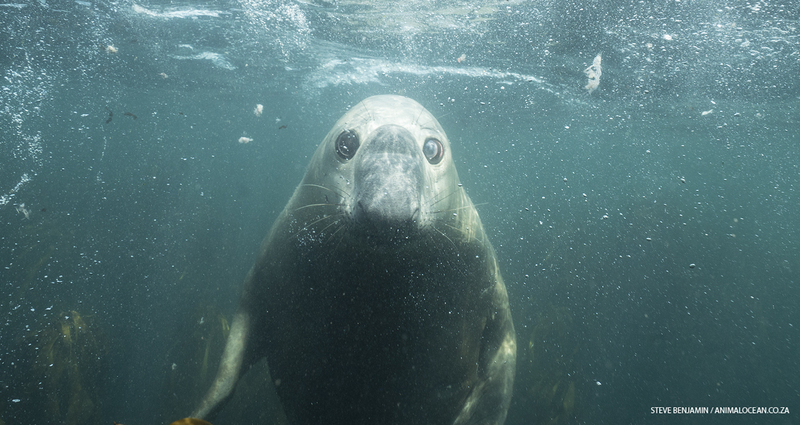 I’ve found this seal to be very shy and difficult to approach. 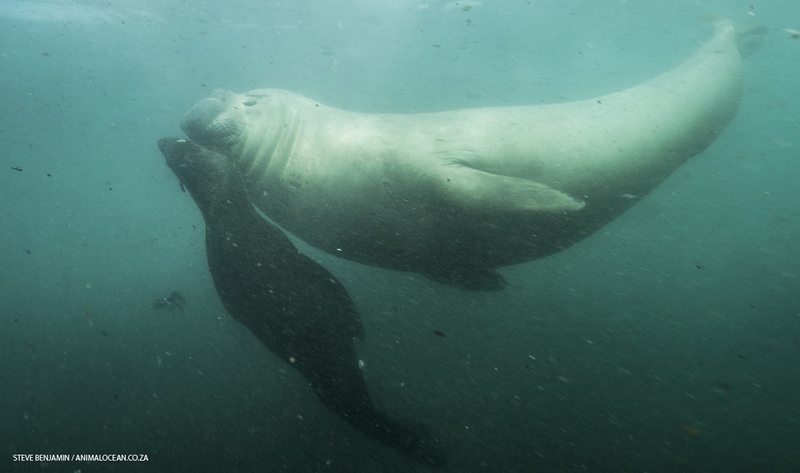 The underwater images you’ve seen here, where extremely difficult to get and I needed to be extra sneaky to get close. 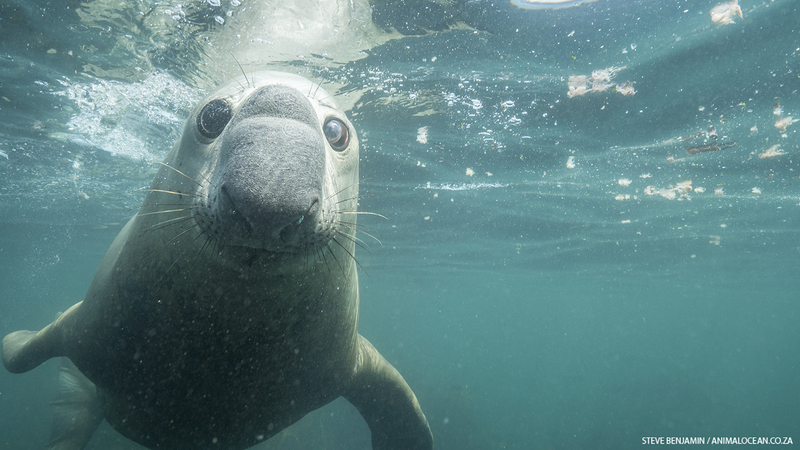 The seal stays in the shallows of the colony and doesn’t venture to the area that we snorkel with the Cape Fur seals. When I have come close the him underwater, he quickly turns and seeks shelter in the shallows of the island. 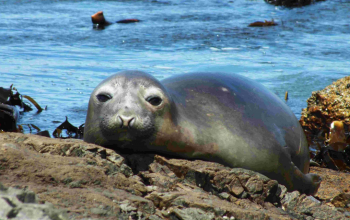 He will not stay at the island forever and even the Cape Fur seals will be left in peace soon. This Elephant seal’s presence at Duiker island is special and something definatly worth coming to see, if you have the chance.